AWE!!! THis card is SUPER cute! Love the coloring and your bow is Awesome!!! Absolutely gorgeous...and yes that swing is perfect for her! 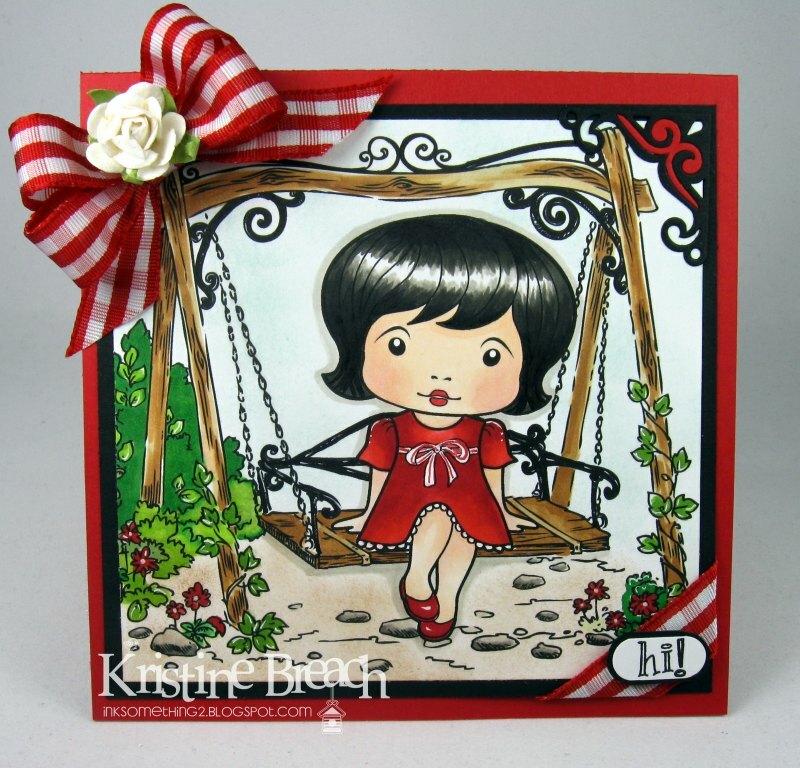 This is one of my favorites....I love the swing. Is it a stamp? Very nice card! I, too, would like to know the source of the swing image. It is perfect for this Marcie image. Uber adorable, very sweet card! Beautifully colored and great scene. Love it! 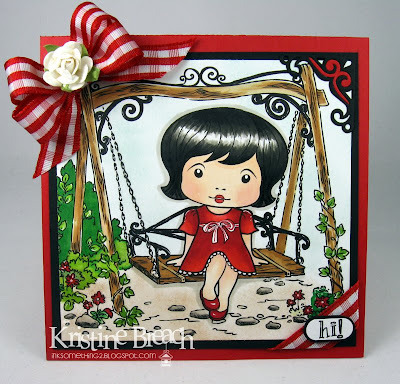 I adore her on the swing!! This is the sweeeeetest scenic card!